CEO Judy Faulkner discussed her company’s research and development totals for the first time. She also said Epic’s spending outpaces rivals Allscripts, athenahealth and Cerner in R&D. 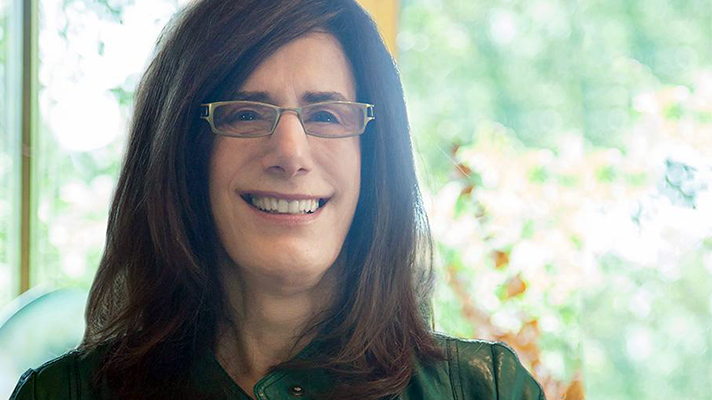 VERONA, WISCONSIN— Epic Systems founder Judy Faulkner told Healthcare IT News in a recent interview at the company’s headquarters that the EHR giant invests 50 percent of its operating expenses on research and development. She pointed out that three rival health IT companies spend less, with Allscripts coming in at 34 percent, Cerner at 19 percent and athenahealth at 10 percent—numbers that Healthcare IT News verified in SEC filings. As a private company, Epic does not have to file an income statement as the publically traded companies like her competitors are required to do. So Faulkner cut to the chase. “I know what we spend,” she said. A 50 percent R&D total would not only outpace Epic’s direct competitors in the EHR realm, but it would also surpass many big name public technology companies including Amazon, Apple and Google — at least when measured as a percentage of operating expenses. Healthcare IT News checked the three public companies’ 2015 income reports and found they spend billions on research and development, in fact, but none allocate as high a percentage as Faulkner maintains she invests for Epic. At more than $12 billion invested in R&D in 2015, Google comes the closest with an R&D investment that equals 45 percent of the $27.465 billion it spends on total operating expenses. Apple, meanwhile, dedicated more than $8 billion, or 36 percent of operating expenses, while Amazon invested nearly $12 billion accounting for 18 percent of its annual operating expenses. Why spend 50 percent of operating expenses on Epic R&D? “When we know we have to build a new system, I put people on it, and they start building it,” Faulkner said. Another major reason Epic has been able to concentrate money, time and effort on developing new products is that it creates every component from scratch, Faulkner said. In contrast to many cutting-edge IT vendors, Faulkner has avoided the growing pains of acquiring and trying to integrate new companies to obtain their technologies. Sumit Rana, Epic’s senior vice president of R&D, cited Epic’s myChart portal as one example of a technology that grew out of the company’s research and development. Back in 1999 patients had no access to their own records, test results, or appointments, and many doctors viewed that information as theirs rather than belonging to patients. Faulkner maintained that Epic, which she founded in 1979, has always been on the cutting edge – accusations of customers being trapped in a closed EHR system notwithstanding. Faulkner listed Epic’s own Care Everywhere network used to exchange records Epic-to-Epic and its interoperability work with the Sequoia Project’s Carequality in exchanging records with non-Epic systems as examples of the innovation her company can achieve by spending so much on R&D. Rana, meanwhile, pointed to the Epic MyChart patient portal and the Limerick app that sends doctors alerts when test results are ready via the Apple Watch. Faulkner also recalled Epic’s early days when developers incorporated a graphical user interface into an early version of Epic’s electronic health record software, asserting Epic was the first EHR with a GUI. At the time, she said, there were line-by-line character-based EHRs – particularly in inpatient settings.